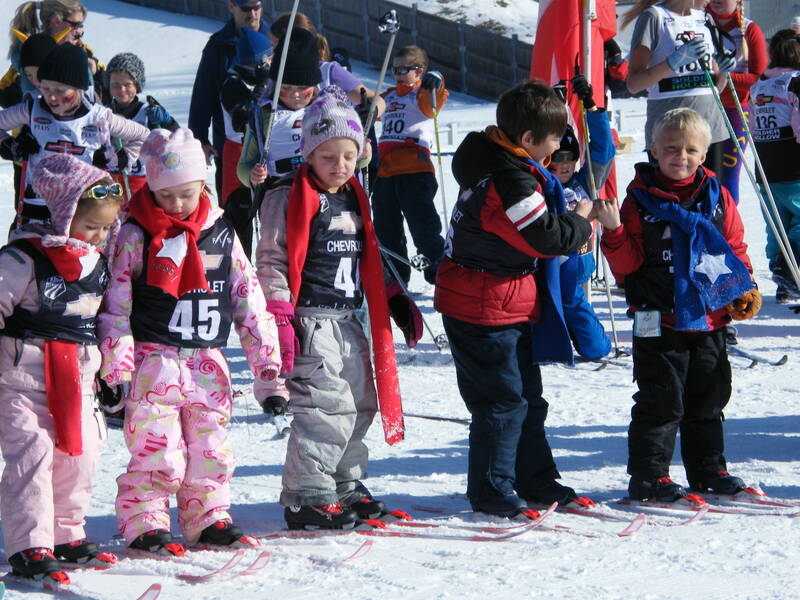 The builder participated in his first Annual School Olympics at Soldier Hollow. Each class learns about and represents a country. The first day of the Olympics they teach the other classes what they’ve learned. On the second day they participate in Cross-Country events and obstacle courses. They even have an Opening Ceremony. It was so exciting to see the builder ski down the hill with his class, as we listened to the Olympic theme song. Back at home, the younger kiddos and I were singing the songs in a book that Grandma gave them one holiday and found inspiration for all sorts of fun activities. Though, there are too many images and videos to upload and save…and write about. And I need to paint. So hopefully I’ll find the time over the next couple days. Last night I taught my first art lesson with a new student. She is talented, beautiful, charming and vibrant. She’s also my relative which makes it extra fun. Thanks Emma for a beautiful evening…I loved painting with you! Meanwhile…Voila, voici ma dernière peinture. I’ve been charmed by Pantone’s color of the year: honeysuckle, and I’m quite enjoying companion colors. Beautiful! Although I need to google the color honeysuckle to know what it is! You sound busy, but in a good way. Hi Amber 🙂 thx, and yes, honeysuckle is quite lovely. Loved catching up on your blog…xoxo to all of you! 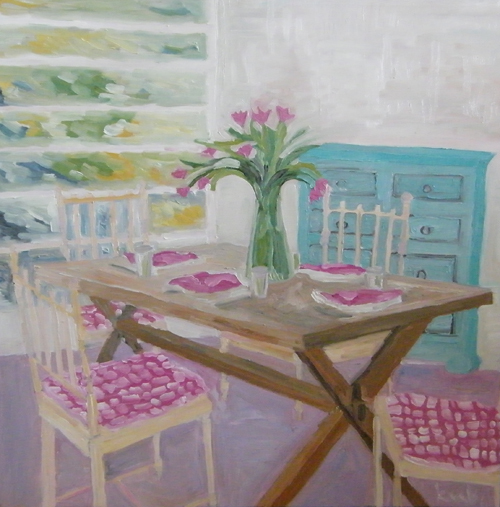 im amazed at the paintings you get done in between rearing your lovely young family, Katrina. They have a peaceful domestic grounding which shows your love of family moments. I didn’t know you could make pie out of honeysuckle. ha ha. Nice welcoming interior painting, i just want to pull up a chair and sit and chat at that table.